"She said, `There's a call here for you from Stockholm,"' Lefkowitz told The Associated Press. "I knew they ain't calling to find out what the weather is like in Durham today." 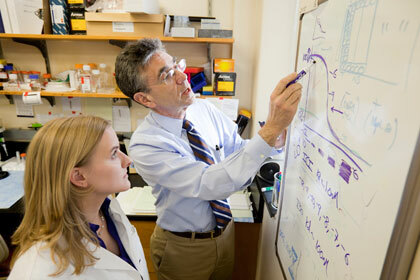 Lefkowitz has spent 39 years as a research scientist at Duke University Medical Center. He is sharing the 2012 Nobel Prize in Chemistry with Brian Kobilka of Stanford University School of Medicine. According to a Duke University news article, the two research scientists met when Kobilka worked as a post-doctoral fellow in Lefkowitz’s lab in the 1980s. Fox News reports that Lefkowitz is awarded the prize for his research of protein receptors that allow body cells to sense and respond to external signals. His research is of critical importance to developing better drugs. The two researchers made profound discoveries on an important family of receptors known as G-protein-coupled receptors. Roughly half of all medications affect these receptors, so the knowledge gained by the Nobel-winning research scientists’ work will be used to develop better drugs. "Bob's seminal discoveries related to G-protein-coupled receptors ultimately became the basis for a great many medications that are in use today across many disease areas," said Victor Dzau, MD, Chancellor for Health Affairs and CEO of Duke University Health System. "He is an outstanding example of a physician-scientist whose impact can be seen in the lives of the countless patients who have benefited from his scientific discoveries. We are very proud of his magnificent achievements and grateful for his many contributions to Duke Medicine." CNN reports that people experience G-protein-coupled receptors most knowingly when they smell, see and taste. Inside the body, however, they sense signaling substances, such as adrenalin, serotonin, histamine and dopamine. "They serve as the gateway to the cells," Lefkowitz told CNN. 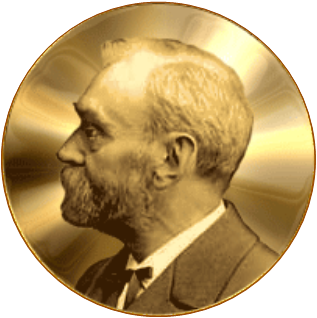 In the past, Nobel Prizes in chemistry have been awarded to science researchers studying organic chemistry, particularly to research in the life sciences field, such as genetics. The monetary award this year will be 8 million Swedish kronor, or about $1.2 million. Although the honor of the prize is its greatest asset and $1.2 million is still a substantial award, the number represents a 20% drop compared with last year and is due to the crisis that has hit financial markets. Lefkowitz said he would put half his award away towards retirement or pass it on to his children. Surely, his friends and family are exceedingly proud of Lefkowitz’s achievement. As to how Lefkotwitz himself felt upon being told he had won the Nobel Prize, he says he didn’t have an “inkling” that he was being considered. "Initially, I expected I'd have this huge burst of excitement. But I didn't. I was comfortably numb," Lefkowitz said. BCI is a full-service science research marketing and events-planning company that puts on trade shows at top research institutions across the country. Check out our newly-released 2013 Show Schedule to find an event in your area.